The Intersect portrait series was created in collaboration with photographer Christian Columbres. 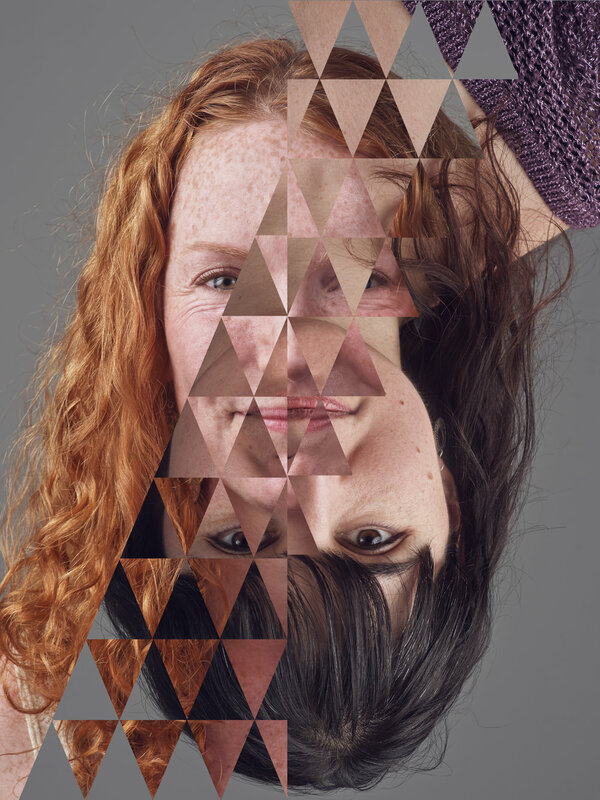 This series combines images of paired family members and friends amongst geometric overlays. These elements represent the inner workings of human relationships, depicting the close-knit patterns that keep two people connected. Whether it be through love, humor, tragedy, genetics or the many countless things that bond two people together.